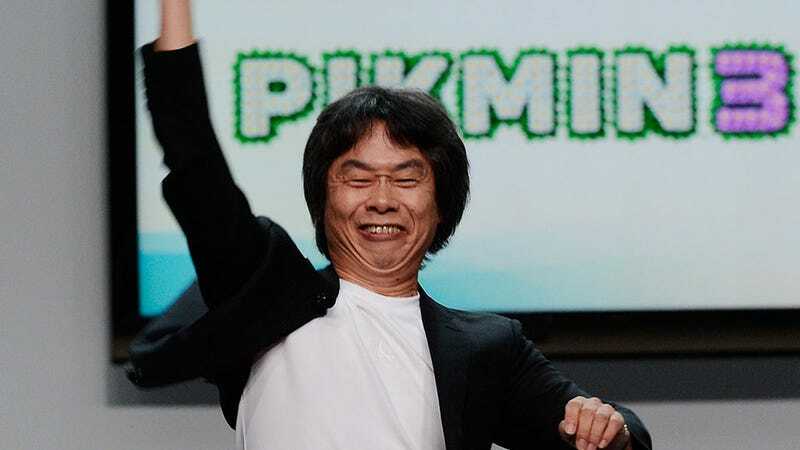 The highlight of today's E3, for me at least, was seeing Nintendo legend Shigeru Miyamoto take the stage at the company's press conference and finally take the wraps off Pikmin 3. The reveal itself was welcome, but what I really liked about it was seeing the dude go crazy with it. For many people, his sword-swinging antics for Twilight Princess are a lifetime highlight of the event, and this is as close as he's come to that since. I don't know why exactly it resonates with people, but it's probably got something to do with the fact 99% of other developers and executives look like actors on a forced death march during E3. Seeing a man with genuine passions and excitement in his products is both a rare and wonderful thing.